With technology comes access and with access we can damn near make anything happen and that is the premise behind Kickstarter. Via Kickstarter, I’ve seen many of my friends put out the CD’s they’ve always dreamed of releasing but never could do before without a label deal or having saved stacks of cash. I’ve even know a couple of people make amazing documentaries via Kickstarter. It’s power to the people without delay… well 45 days, but you catch my drift. Even Spike Lee is joining the bandwagon and has initiated a project to fund his next flick. And even though I’m conflicted about that one, I can’t knock the hustle. Black Girls CODE is a nonprofit organization whose mission has transformed into a global movement to give young Black girls the tools to become inventors, leaders and creators of their own future in the world’s technology economy. BGC was founded in April 2011 by Kimberly Bryant and is the only non-profit organization helping girls of color ages 7 to 17-years-old “become innovators in STEM fields, leaders in their communities, and builders of their own futures through exposure to computer science and technology.” Their Summer of CODE campaign will fund workshops during the 2013 season, seed existing BGC chapters, and support the creation of a web series. With the successful backing of their Black Girls CODE-Summer of CODE 2013 will expand to 10 new cities and reach thousands more girls of color before school starts in September. 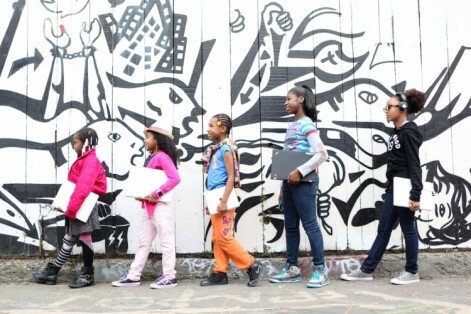 Black Girls CODE/ Summer of CODE will only be funded if at least $100,000 is pledged by July 26, 2013. Click HERE to watch Black Girls CODE’s Indiegogo video and to back this project. 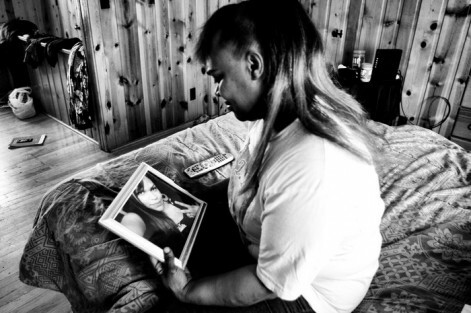 In 2011, Shelley, a transgender 19 year old, was brutally murdered in Detroit. TransParent is about her life, her mother & her murder. TransParent is a film directed by dream hampton and produced by Natasha Miller about the life of Shelley “Treasure” Hilliard, a Detroit 19-year-old girl, beloved by her family and friends. TransParent is a film about Shelley’s murder, about a hate crime that wasn’t prosecuted as one. TransParent is about the struggle to forgive. TransParent is about Detroit. TransParent is about projections and perceptions and communities misrepresented and misunderstood. TransParent is about incredible beauty and horrific violence. TransParent is about a grieving mother and her commitment to honor her daughter, Treasure. TransParent will only be funded if at least $30,000 is pledged by Wednesday, Jul 31, 2013. Click HERE to watch TransParent’s Kickstarter video and to back this project. All Day is the story of artist, Liza Jessie Peterson’s surreal odyssey down the rabbit hole of prison and education with a bunch of hyper, hormonal, teenage boys awaiting sentencing. When the pressures of New York City rent and dodging bill collectors gets to be unbearable, survival mode kicks in and Liza takes a full-time job teaching kids who are deemed unreachable and labeled criminals. It is here on the school floor at Rikers Island where The Wire meets Welcome Back Kotter in her classroom of adolescent thug rug-rats where she is determined against all odds to make a difference in spite of their rowdy antics and seasoned apathy. But it was no easy task as her students challenged her on every level imaginable, sometimes forcing her to conjure her inner-thug mamma and dish out lessons with tough love, quick wit, a sharp tongue and a commanding bark. Every day was filled with outrageous jail house theater and being a classically trained actress Liza was adept in serving the drama right back at her students…a class full of drama kings, especially JaQuan. Together with her students, Liza struggles to survive in an oppressive environment and find common ground in the belly of the beast, All Day. All Day will only be funded if at least $6,100 is pledged by Monday, Aug 26, 2013. Click HERE to watch All Day’s Kickstarter video and to back this project.